A fun spin on the classic must have for all pet owners! 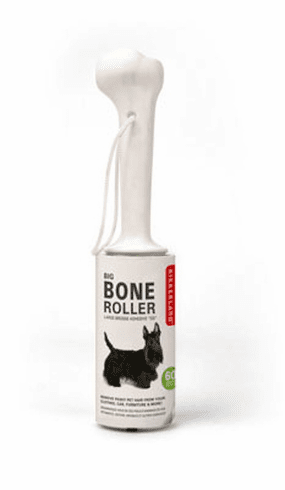 Dog Bone Lint Roller from Kikkerland. Approximate Dimensions: L 9" x W 2" x H 2"